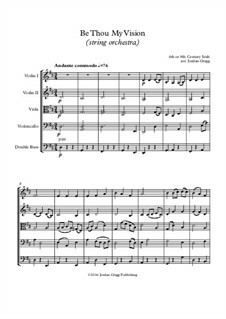 A traditional Christian hymn arranged for intermediate cello quartet. 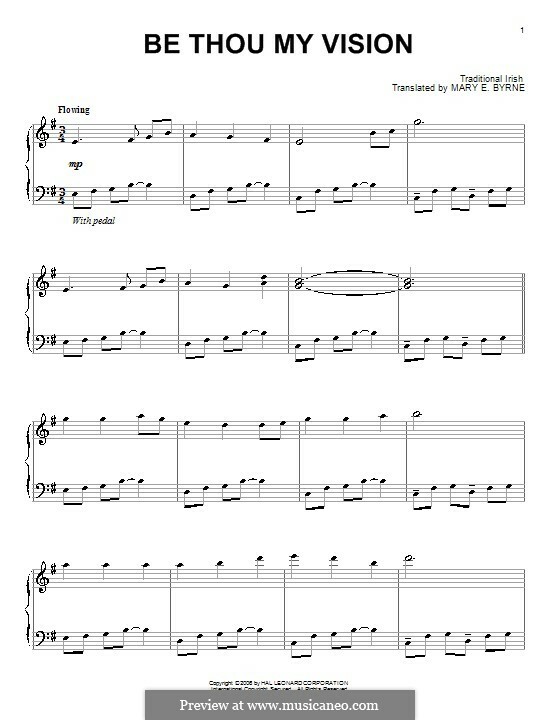 Cello 1 goes into tenor clef. 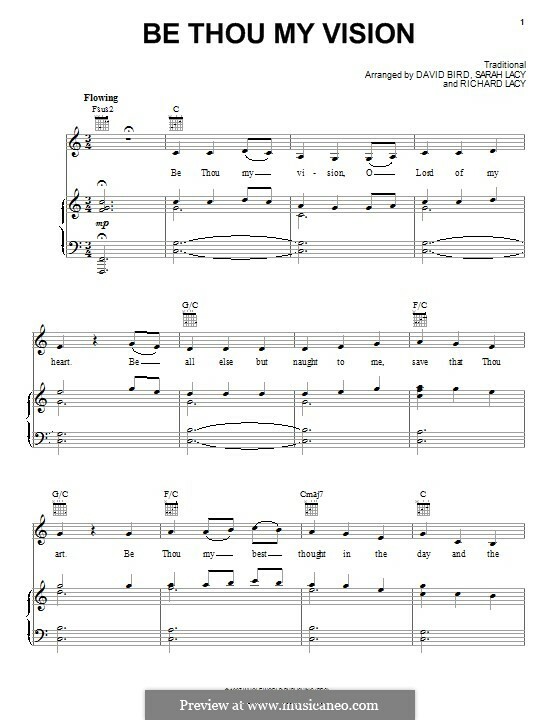 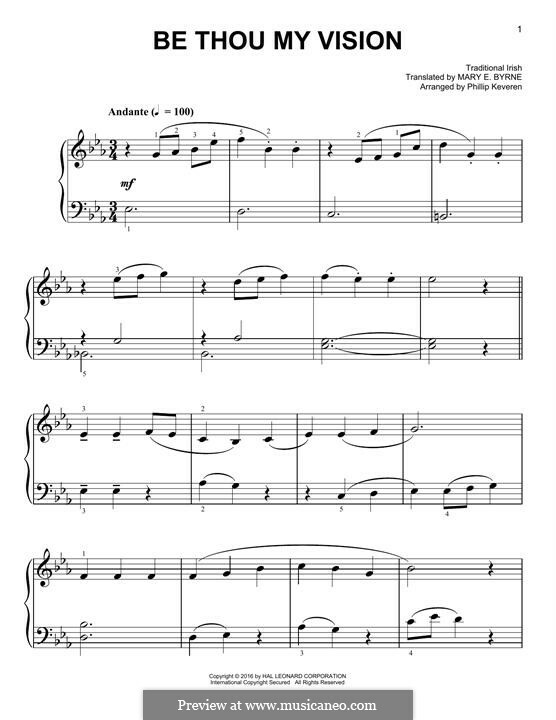 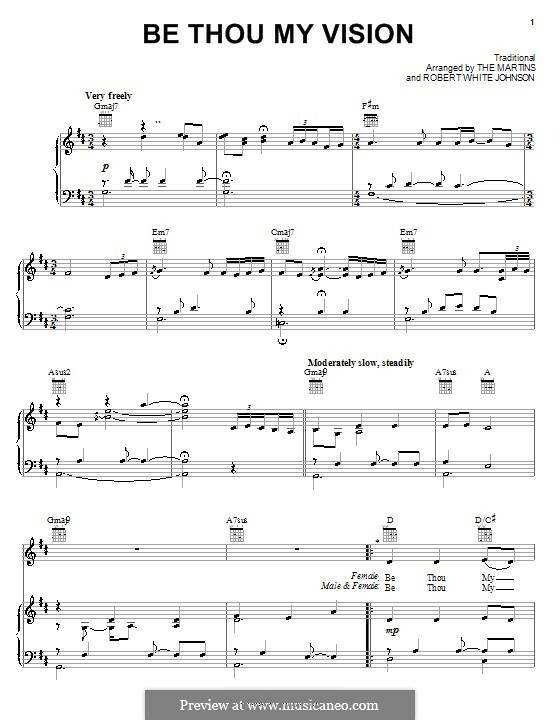 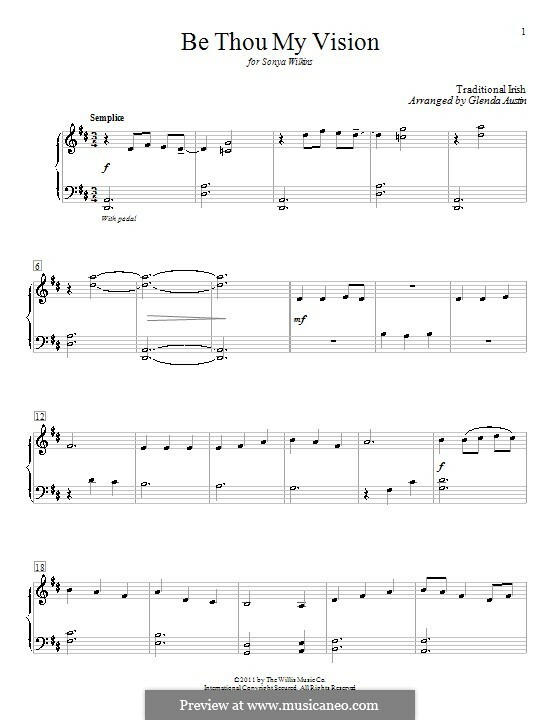 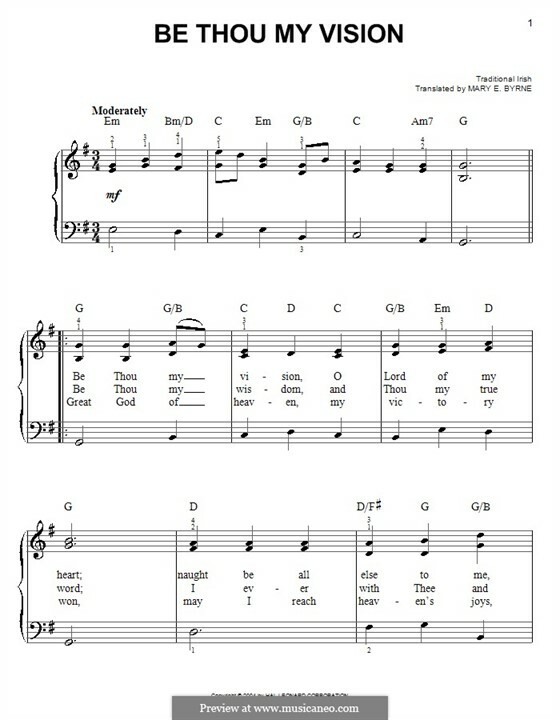 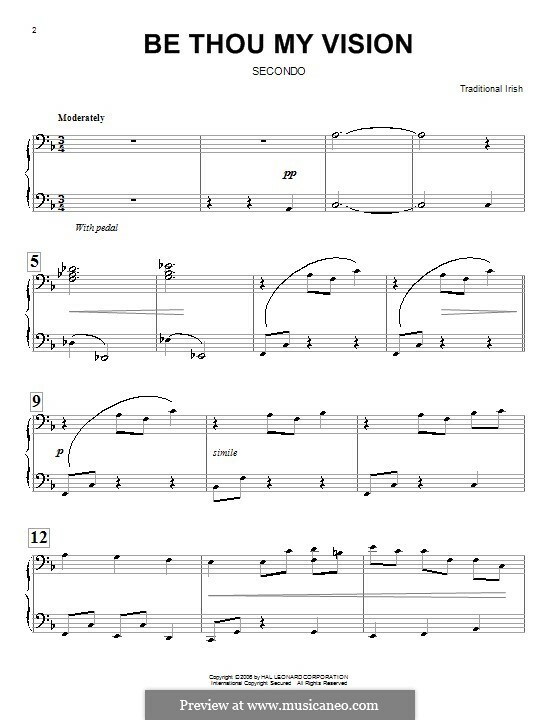 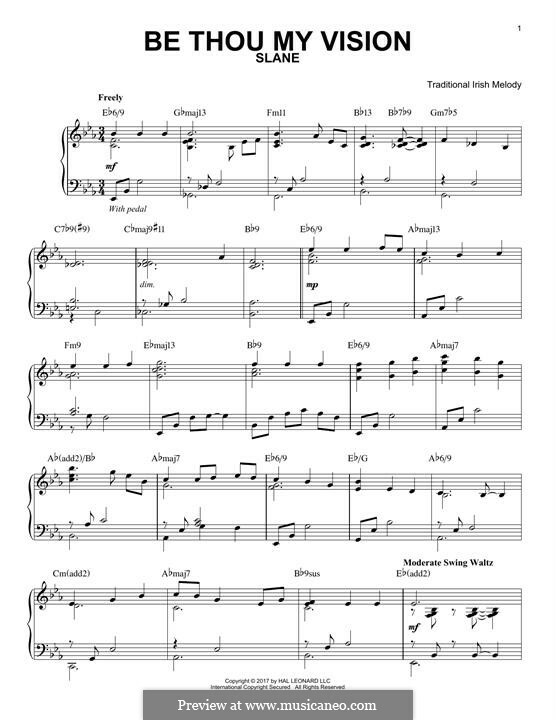 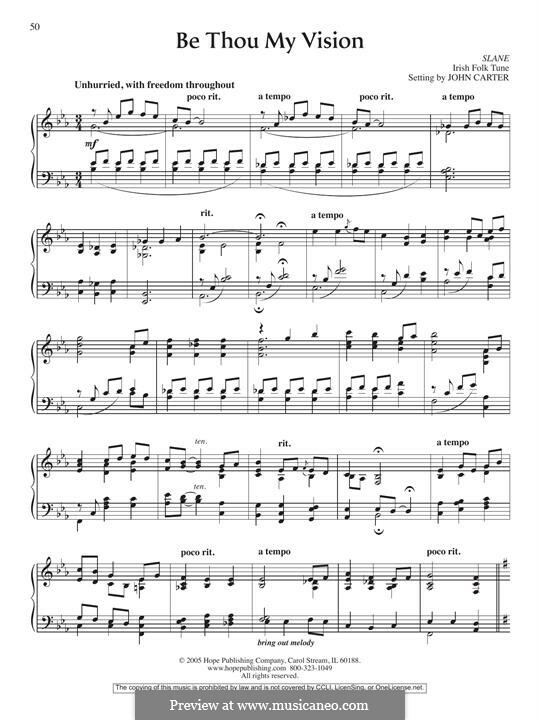 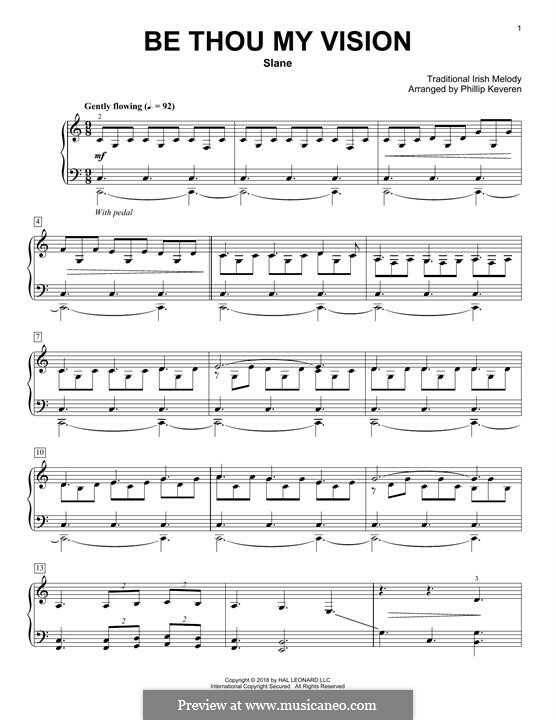 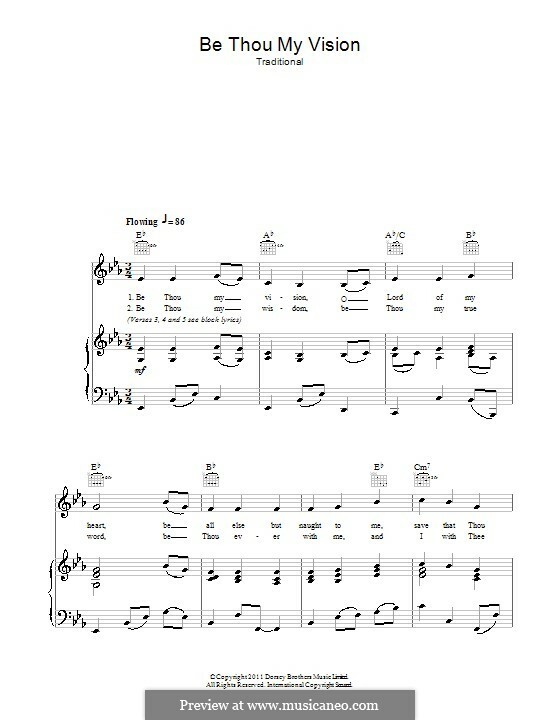 The hymn begins softly with the parts entering in turn, followed by a Celtic style piano line. 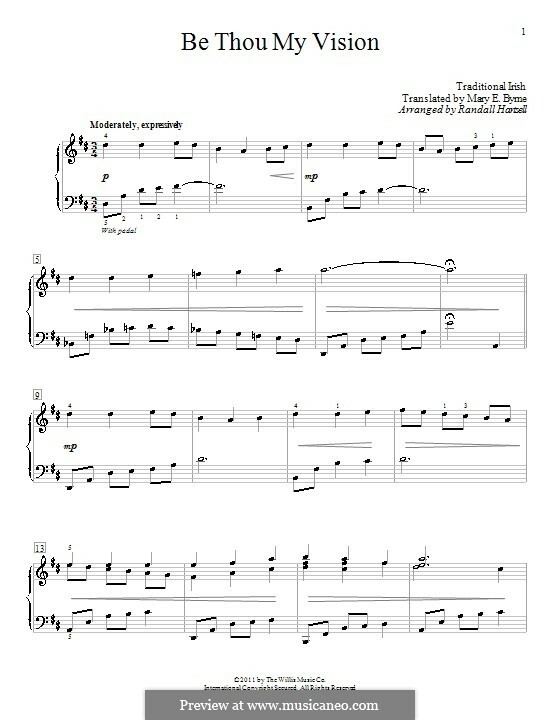 The ending is majestic and inspirational, making this a rewarding and fulfilling piece to perform. 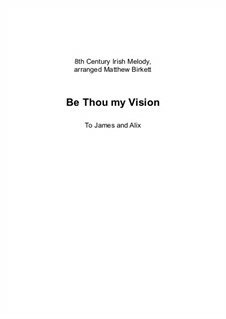 This magnificent arrangement of "Be Thou My Vision" has quite singable lines for each of the three voices and the tasteful harmonies are true to the Irish origins of the melody. 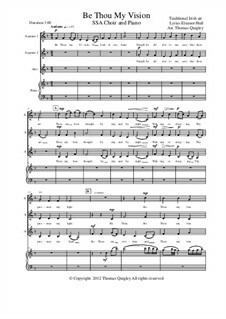 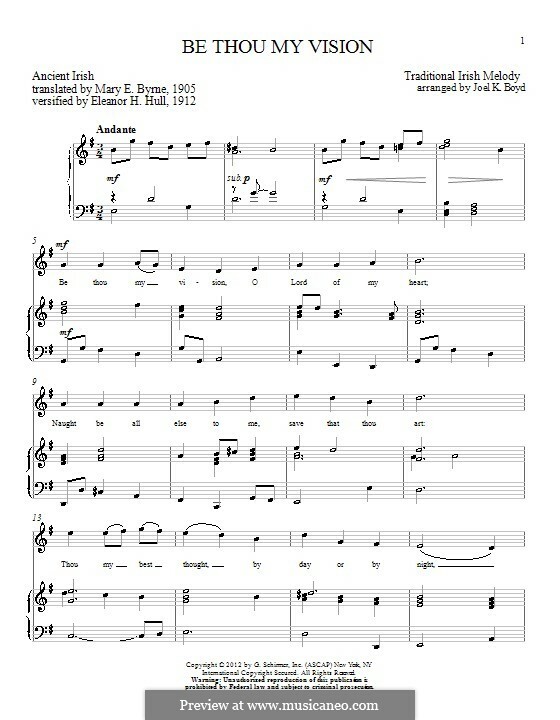 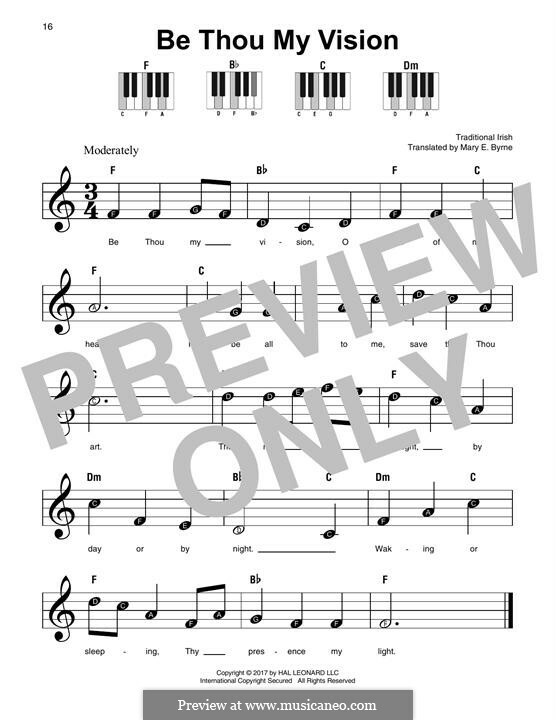 A decorative chordal type accompaniment enhances the overall effect in this well-crafted and uplifting piece.it is suitable for school choirs. 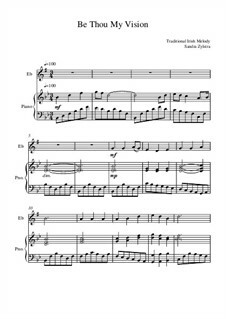 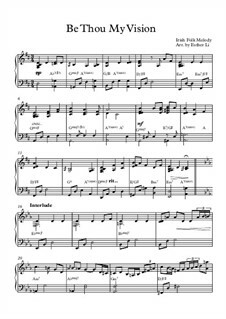 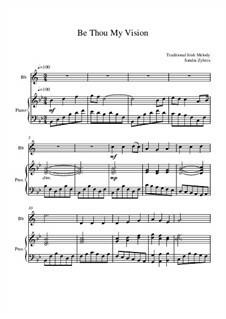 This arrangement (four verses) has warm and rich harmonies with a tasteful piano accompaniment, which adds a Celtic/Romantic flavor. 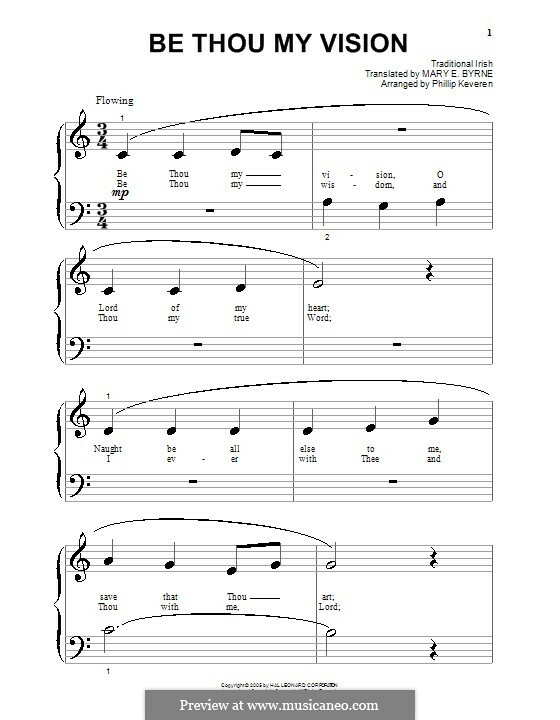 There is a very effective opening, where the voices enter in turn, unaccompanied, followed by the piano. 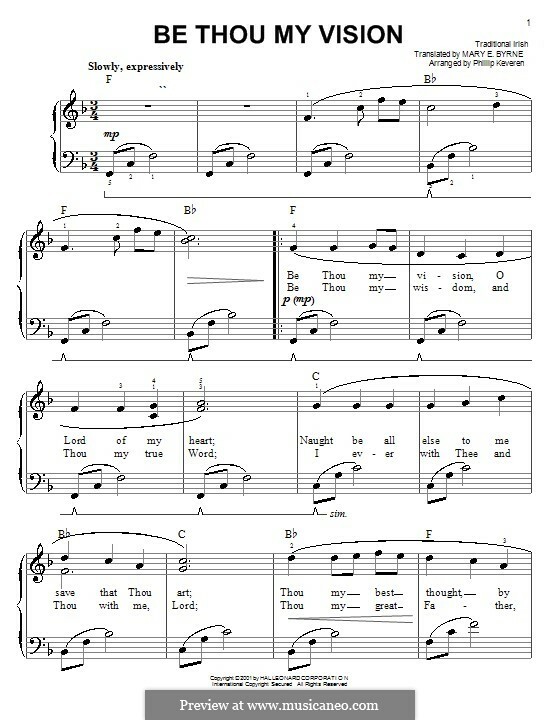 Towards the end, it builds to a majestic and triumphant climax, ending softly. 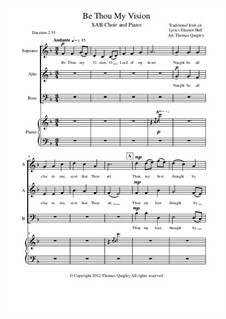 It would be very suitable for a religious choral competition. 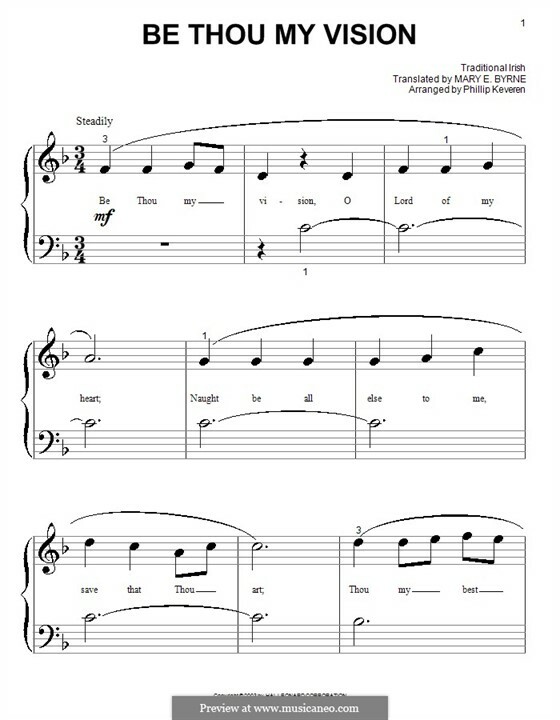 A quiet reflective piece allowing you to focus on God's vision for your life. 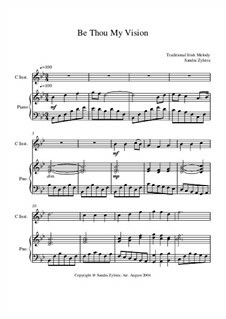 This is a traditional and charming 9th century Irish melody, and has been adapted for hymn tune use. 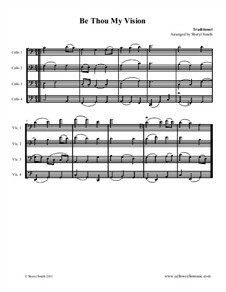 It was arranged for the wedding of two band friends. 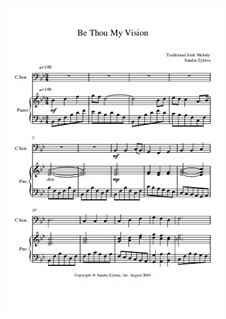 This skillful, sensitive arrangement of an inspirational Irish hymn, with its rich, tasteful harmonies is most enjoyable to perform. 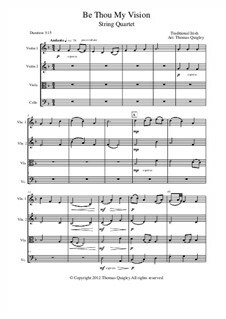 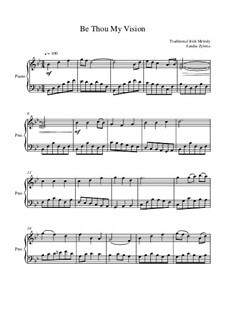 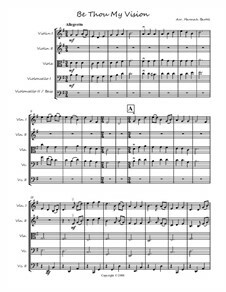 It is a compelling and rewarding piece suitable for students or amateur ensembles. 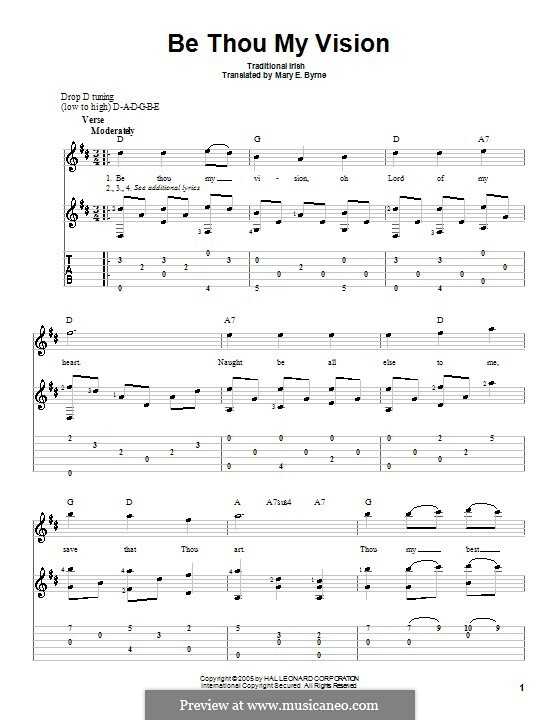 This is an exquisite version of the traditional Irish air, "Slane". 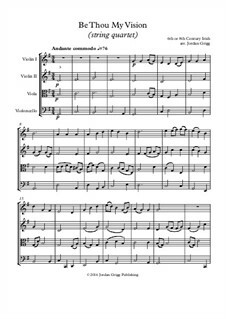 Not difficult to play, as the string writing is mainly vocal or chorale-like in style, the overall effect however is very expressive. Suitable for student, amateur or professional players, this very sensitive and skillful arrangement of the wonderful well-known hymn, with its lush Celtic harmonies is appropriate for either religious or concert setting. Traditional Hymn reharmonised and rearranged. 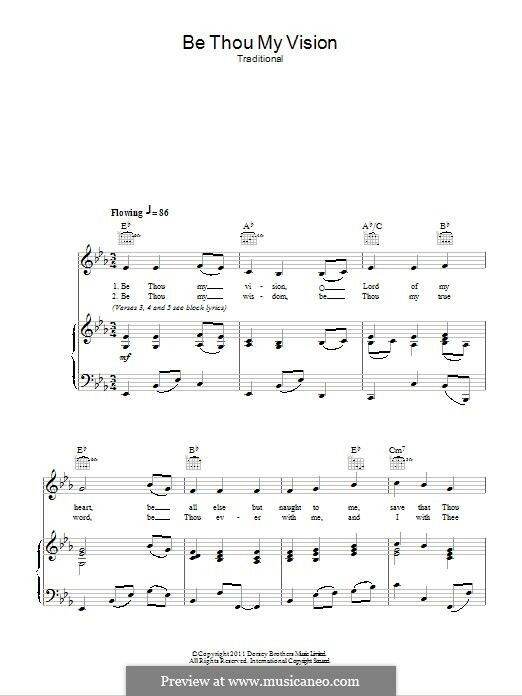 Includes an original interlude. 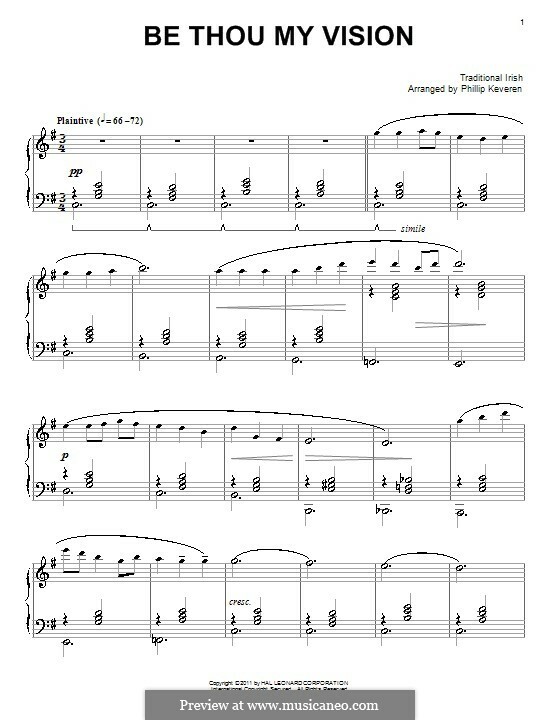 Hmm, it's listed as wind quartet, but here it's piano/vocal. 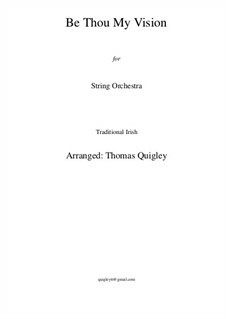 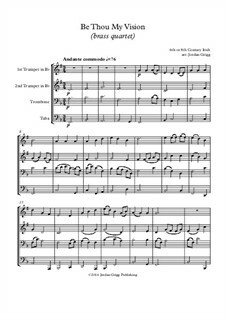 Für Streichorchester Arrangiert von Groening H.
SATB and piano Arrangiert von Quigley T.
SSA and piano Arrangiert von Quigley T.
SAB and piano Arrangiert von Quigley T.
Für Klavier Arrangiert von Zylstra S.
For brass band Arrangiert von Birkett M.
Score for two performers (in C) Arrangiert von Zylstra S.
Partitur für zwei Interpreten Arrangiert von Zylstra S.
Score for two performers (in E Flat) Arrangiert von Zylstra S.
Für Streichorchester Arrangiert von Quigley T.
Score for two performers (in F) Arrangiert von Zylstra S.
Für Saxophonquartett Arrangiert von Grigg J.
Für Blechblasquartett Arrangiert von Grigg J.
Für Streichorchester Arrangiert von Grigg J.
Für Streichquartett Arrangiert von Grigg J.
Für Streichquartett Arrangiert von Quigley T.
For wind quartet Arrangiert von Grigg J.
Für Stimme und Klavier (oder Gitarre) Arrangiert von Johnson R.W. 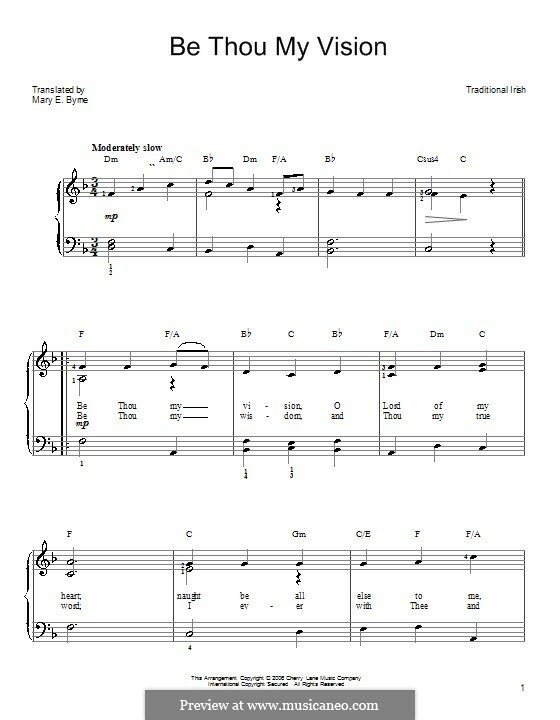 Für Klavier Arrangiert von Austin G.
Für Klavier (mit Applikatur) Arrangiert von Hartsell R.
Für Klavier (G-Dur) Arrangiert von Keveren P.
Für Klavier Arrangiert von Keveren P.
Für Klavier (sehr leichte Fassung) Arrangiert von Keveren P.
Für Klavier, leicht Arrangiert von Keveren P.
SATB Arrangiert von Sorenson H.
Für gemischten Chor Arrangiert von Forrest D.
Für gemischten Chor Arrangiert von Stopford P.
Für Frauenchor Arrangiert von Forrest D.
Für Männerchor Arrangiert von Forrest D.